It is a brave company that takes on Samuel Beckett’s theatre changing play, directing, performing and producing Waiting for Godot is one of theatre’s greatest challenges for many reasons, one of which is the nuances that exist despite their remarkable ability to defy definition. The spirit of Godot is as important and powerful as its concrete text, which is anything but concrete. It is a daunting play to perform and to watch, immediately challenging and ultimately becoming a self-examination for everyone involved. Godot is almost impossible to get ‘right’ and at the same time, as essential as Shakespeare for young theatre practitioners to nut out. 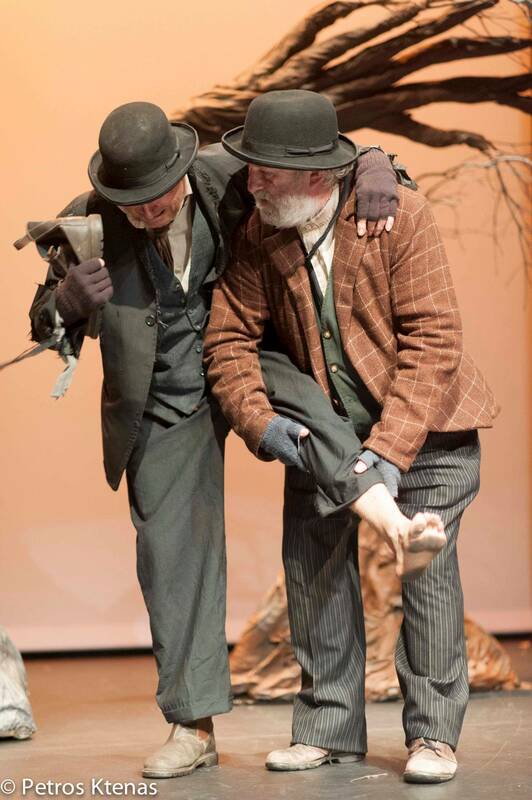 Every performance of Godot will be lacking (you only need to engage with Beckett’s eclectic and seemingly contradictory commentary and comment about the play to see that) and every performance will have the challenge of being able to work to a degree – in the end it becomes a question of scale regarding those degrees. Given all of this, it is unlikely that a very young, fresh theatre company will be able to replicate a Beckett or Upton style production, but given the absolute essentiality of regular performances of Godot, (I make this contention based on how important it is for theater folk to give it a go at least once, and how important it is for long-suffering school kids to see it – and I’m one of those who think it is…) a performance needs to be engaged with at the level of participating witness, rather than critical judge or observer. 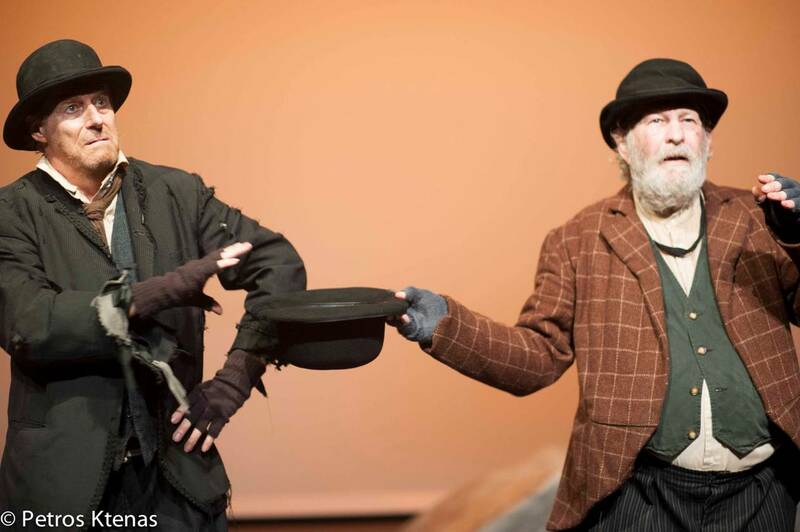 Waiting for Godot isn’t Noel Coward, even if it is extremely funny, it isn’t George Bernard Shaw even if it is laced with biting social satire and it isn’t Arthur Miller, even if it holds the clearest of mirrors up to the ugliest parts of ourselves. Beckett’s intention to engage is never subjugated to a desire to entertain and he unapologetically demands the absolute highest of our thought processors when he invites us to be a part of Waiting for Godot, and in a way the specter of his beady-eyed brilliance hovers over the play, watching performance and audience alike, giving us no place to hide. And so the latest to tip his bowler to the omnipresent Beckett is Cameron Malcher, taking on Waiting for Godot in the early months of 2014. 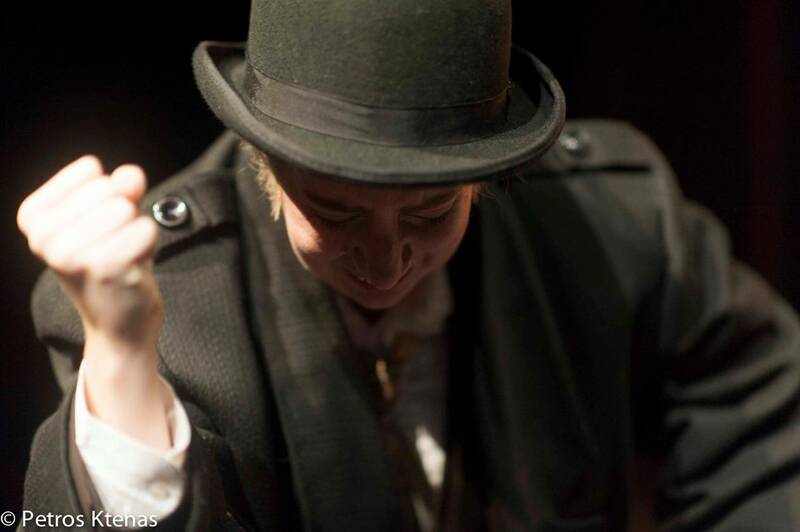 He has put together an enthusiastic production of Godot, playing it safe with an emphasis on the comic, and playing the radical with his casting of Erica J. Brennan as a very anti-Beckett Pozzo. In this way the productions courage stands out immediately, and it is one of the great strengths of the performance. The cast and creatives all share an enthusiastic engagement with the play, refusing to be daunted by its magnitude. It’s a lovely set with Malcher himself taking a hand in the lighting (the emptiness of the stage but for The Tree makes for a beautifully simple canvass) as well as in the trees design. Malcher’s tree is windswept, almost as if its head wishes to take flight but the roots, so firmly planted, won’t let it move. It reaches off stage, taking the eye in a full sweep, a signpost to no where. Errol Henderson is an excellent Estragon, his refusal to pin down the more esoteric of the tramps obvious in the buoyancy and expanse of his characterization. He makes Estragon one of the performances great strengths, with his flighty peculiar questions and his contemplative, though regularly confused gaze a powerhouse of audience engagement. David Attrill is Vladimir, played with a Chaplin-esque air sounding out his sporadic philosophical meanderings. Malcher has resisted the urge to marry Gogo and Didi, which works here, giving them a partnership born of nothing-better-to-do rather than comfort or loyalty and with Attrill’s shape and slapstick wisdom, the Laurel and Hardy parody comes through strongly enough for it to warm the heart of the audience. The quite radical changes of Malcher’s production come through with Erica J. Brennan’s Pozzo and Clive Hobson’s Lucky. Immediately striking is the size difference, as Lucky in this version is so much larger than Pozzo, the question of slavery and captivity is immediately transformed from the physically obvious way the relationship is often portrayed (for example, as racial commentary or a capitalist one) into something more intangible. Pozzo’s power over Lucky is difficult to understand and therefore brings the viewer closer to the experience Beckett wanted (or maybe wanted – who am I to speak for Beckett) in that layers of meaning can be applied if we’d like it to, but in the end life is this strange experience that both excites the desire for and eludes the journey toward meaning. Brennan’s Pozzo is a thrilling idea – made even more so by the fact we knew Beckett was vehemently against females in the play. Her presence detracts from the (inevitable) lesser elements of the production and provides much food for thought. To add to the strangeness of Pozzo and Lucky’s relationship, Clive Hobson plays his rambling speeches declaritively, as if he were a willing servant rather than a forced capture, a man smarter than his master, and yet in many ways not. 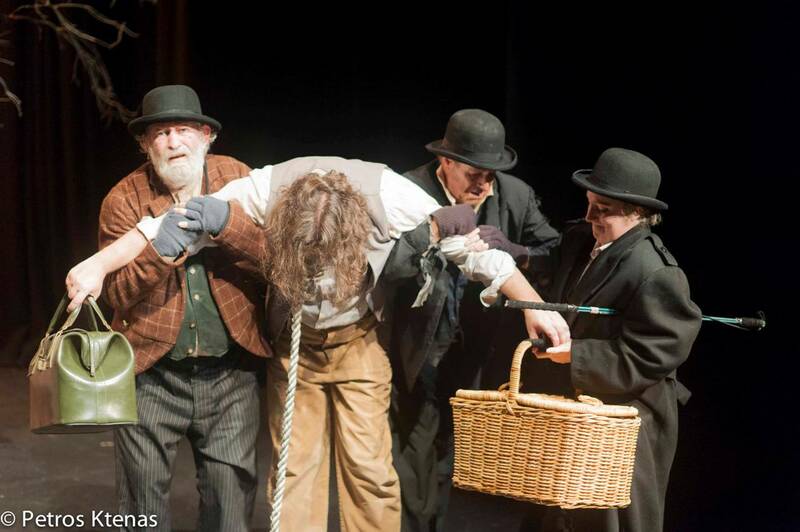 The night I attended Godot at The Riverside Theatre, the audience was filled with school kids, and I think it was a production that would give them a great deal of lively conversation in the classroom later. Godot is never an easy pill to swallow, and certainly not one where you can relax and expect your production company to do all the work. In Cameron Malcher’s production some difficult parts have been made easier (perhaps at the risk of becoming a little dry) and some parts that seem easy to define have slipped through the intellects fingers to bring challenging dimensions to a well-known play. It’s not a perfect production, but its a clever and ambitious one, with plenty for the avid Godot fan and the Godot virgin to enjoy.